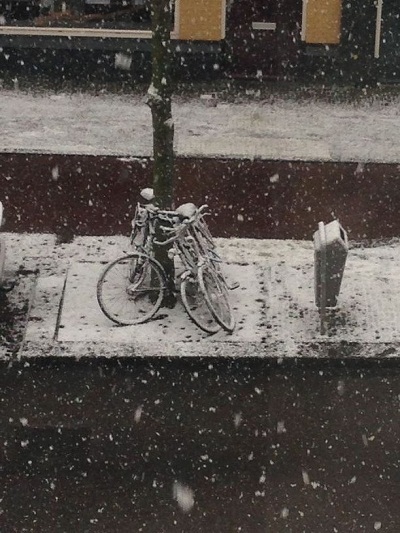 Bikes really are the “transport of choice” around here! 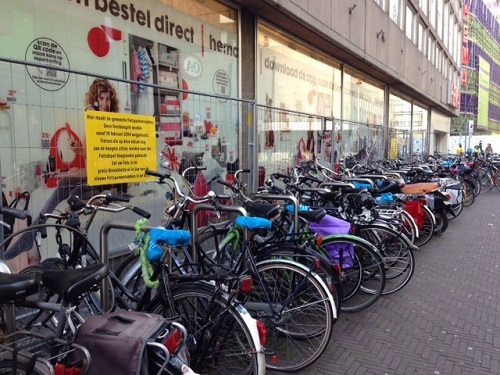 The Hague currently has an issue with the amount of bikes it has lying around, especially in the city center. Over the last year or so The Hague has opened a handful of new bike parking areas, including under the public library. Future work will be done at The Hague’s two train stations (Centraal station and Holland Spoor). Each bike also gets an advertisement on one of their handles, complete with a map of the nearby free, guarded bike areas in the neighborhood. 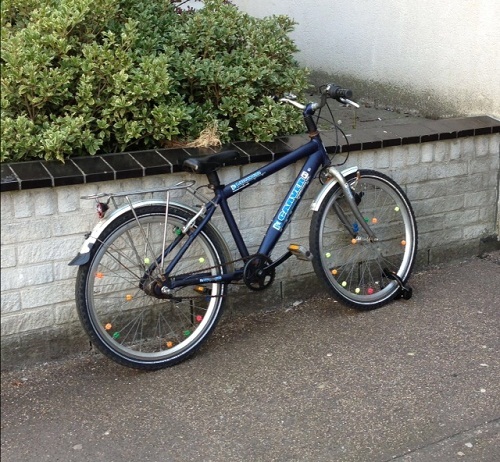 The trick is that it is free for the first 24 hours – if you do not remove your bike at the end of the day you need to pay to get it back. This in theory prevents the rider from using the area as a free storage area for a few months (only in theory, as some people just never come back for the bike). On the way to the expat store we came across an interesting metal sculpture depicting two bicyclists in the rain (note the umbrellas). I just noticed the bicycle shop across the street (Top bikes), too. How Dutch! 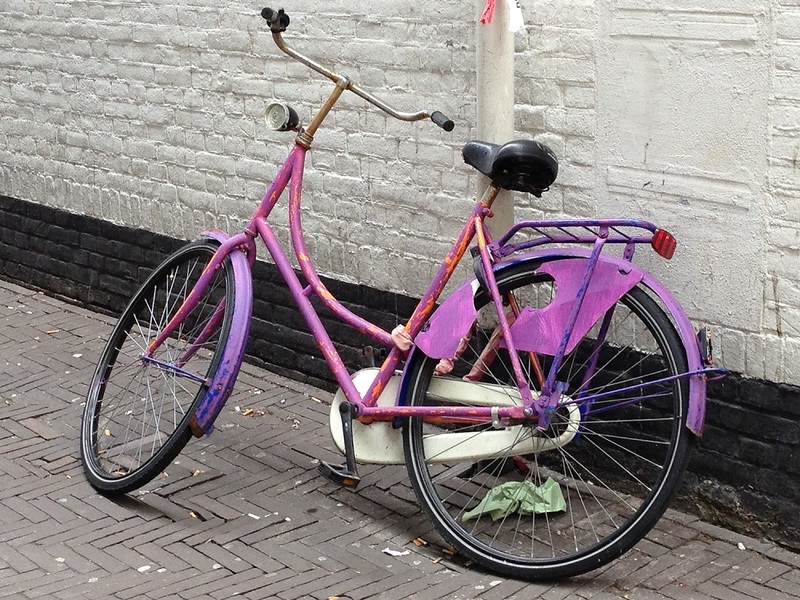 Yesterday I came across a purple bike, although the paint was chipping. Looks like it used to be an orange color. 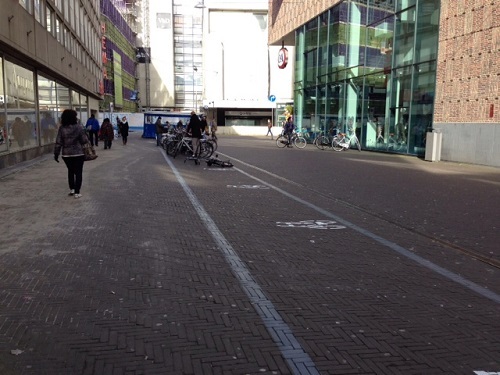 It seems that The Hague has been working on the areas where people park their bikes. A lot of places had a sign on them (example below) stating that bikes could only be parked here until Tuesday, February 18. Any bikes left there after that time would be removed. 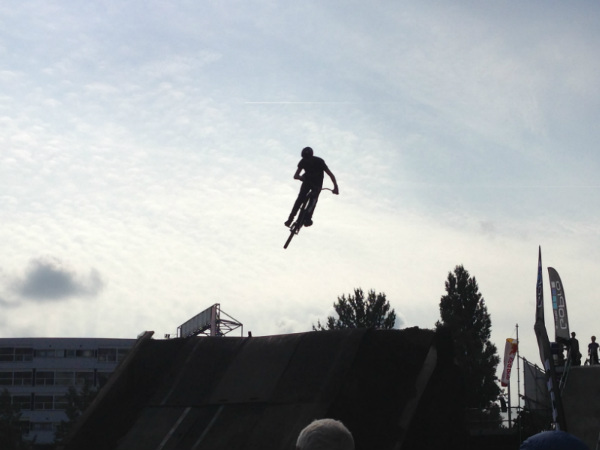 You could then go to the central bike storage in the city and pay a fee to get it back – 25 euros! 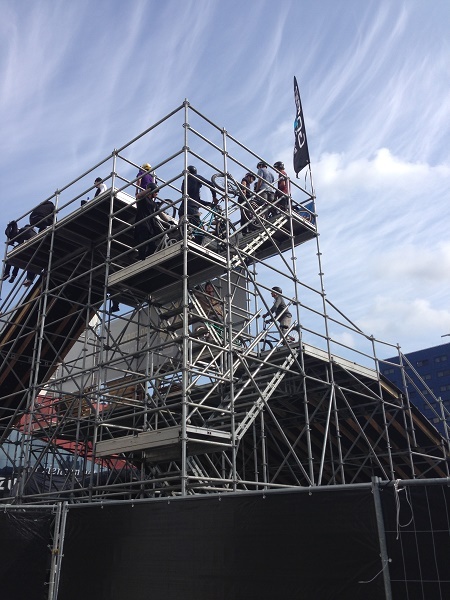 link in Dutch. 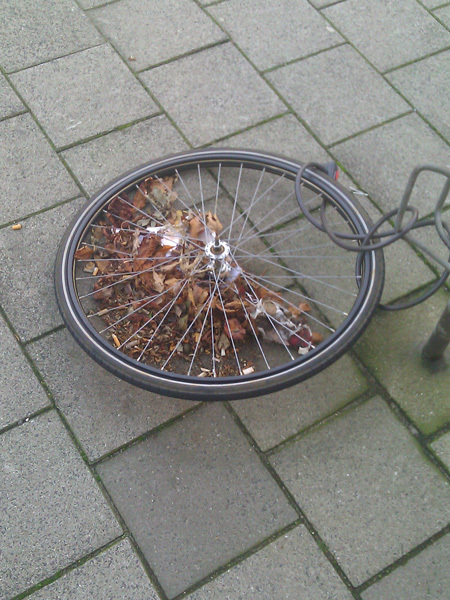 It seems that – according to some Dutch articles – that the bike stands are being permanently removed as they can cause damage to the bike when it is knocked over. Their solution? Chalk lines showing you where to park your bike. Not the most elegant solution, of course. We came back a few hours later after taking this second photo and the entire space was full, and people also placed their bikes against the building just like before – making it even more crowded for pedestrians to pass. 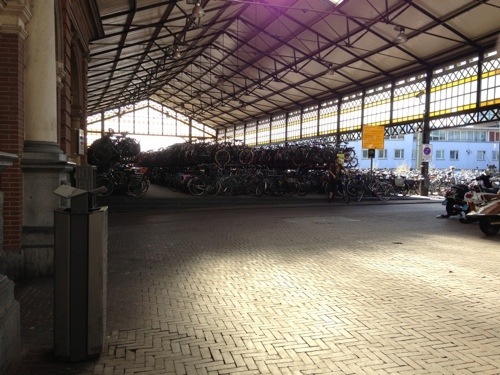 This photo is from a few months ago, and shows the bike area of Holland Spoor. 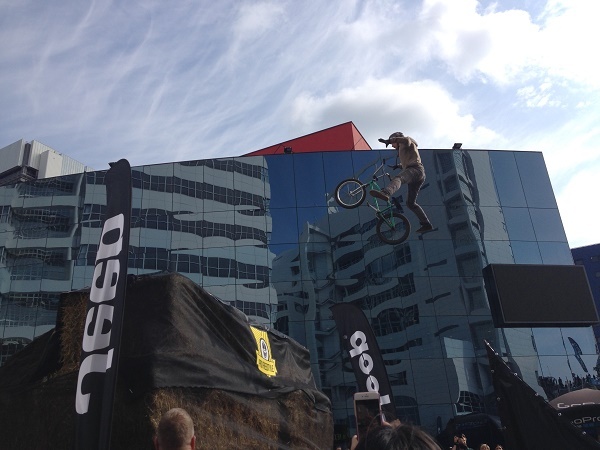 That’s a lot of bikes! Holland Spoor is one of the transportation hubs of The Hague, along with Central Station. The latter is bigger, although that is mostly because Holland Spoor is classified as a public monument and can’t be expanded. When I came home from grocery shopping today, I decided to take a picture of the bike that usually sits in our courtyard. Today was definitely a slower day. I went to Albert Heijn to pick up some grocery items. I did pretty good in terms of figuring out the language, even correctly figured out that the cashier was asking if I had an extra 20c piece (truthfully all I heard was ‘twintig’ and I guessed). I was thrown off a bit when she asked for my bonus card, as I did not think I picked up any bonus items or anything on discount. But when I looked over the receipt later I did see some savings, so it is probably best to just present it each time. I wandered over to the library again but was thrown off by later opening hours on Mondays – the library does not open until 12PM. Marco explained that some stores or other establishments still have later opening hours on Mondays, but that practice goes back to when not many stores were even open on Sundays at all. A few hours before Marco returned home from work I decided to take a crack at organizing his DVDs again. As he had moved around a lot of stuff in his apartment to make room for me and my items, his DVDs ended up being put back in rather jumbled order. Today I just worked on sorting his blue rays and his wrestling DVDs. I still have TV shows and DVD movies to go (whenever). Those tend to be the two largest sections. 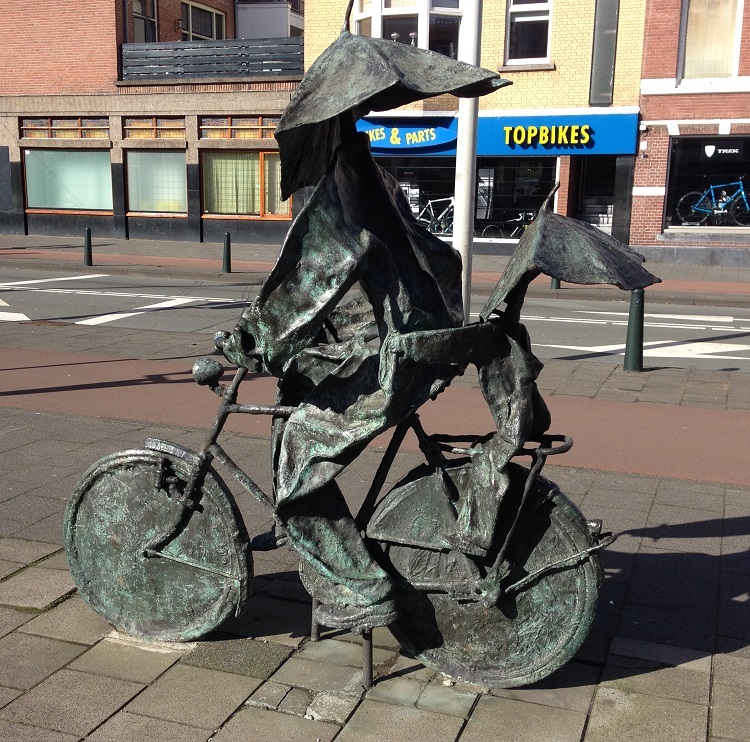 As you know, the Netherlands is notorious for having a lot of bikes in its country. 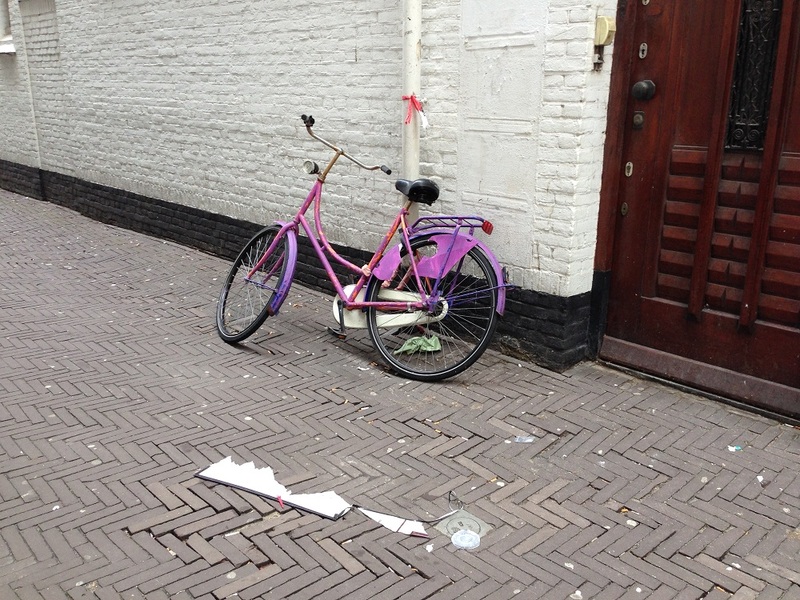 Unfortunately, this one has since been cannibalized – it is (was) a bike right outside where Marco works.